Ruzzle became really popular all over the world in a few months. Everybody is playing it and loving the fast word game. If you’re wondering: What is Ruzzle? You are on the right website. this website tells you all you need to know about the kool app and gives you some smart tips and tricks so you will improve your skills. Read this part and you will know how to play the app! If you’re wondering: What is the app Ruzzle (formerly known as Rumble) exactly? Well, it’s the new popular word game on your Smartphone or Tablet. This app is definitely the successor of Wordfeud, since the introduction of the word game in 2012 it has been downloaded 3 million times in 2 months. 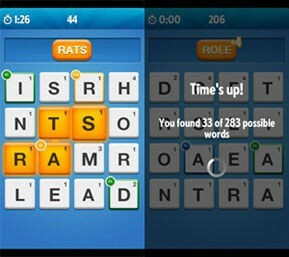 Within a few months the word game became the most popular app in the United Kingdom and the USA. 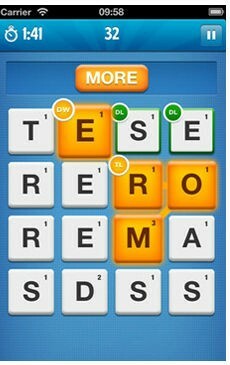 The playing board of the app has 16 random letters in rows of four. The Q, X and Y are not included in the playfield. In the field you’ll have to try to make as many words with the 16 characters in two minutes. After the round finished you’ll see how many points you have earned and how many points your opponent has. If you’re playing the game you’ll have to make as many words as possible in two minutes with the 16 characters in the playfield.On this website you’ll read how it works. The 16 characters are in rows of four, and it’s possible to form words in all possible directions. It’s possible to play it in practice mode, but it’s the best (and the most addictive) if you play against a friend or a random opponent.Each game is played over a period of three rounds, after three rounds you can see the result with the number of points of the three rounds and below your total score.If you’ve lost the game, you can send an invite to get your revenge, so you can try again to beat your opponent in the next round. Each round the letters change on the playing board so that you can form other new words. DW: the word you’ve made times two.TW: the word you’ve made times three.DL: literal value times two.TL: literal value times three.If you’re noticing the extra points values it’s really easy to boost up your score. In the first round there won’t be many extra points boxes, but in the second and third round there will be more. An exciting challenge because you have a time limit. Three rounds means that you can easily recover after a bad round. Ability to chat with your opponent. It’s an addictive word game! 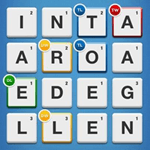 It’s really addictive word game! You cannot pause the game when you’re playing, You will need to focus for two minutes (the game only pauses when you get a phone call). Not all the words are in the dictionary of the game. When you’ve a bad internet connection sometimes your round score doesn’t get saved.